Each season you'll have a few town events to can join in to help break up the day-to-day farming chores. 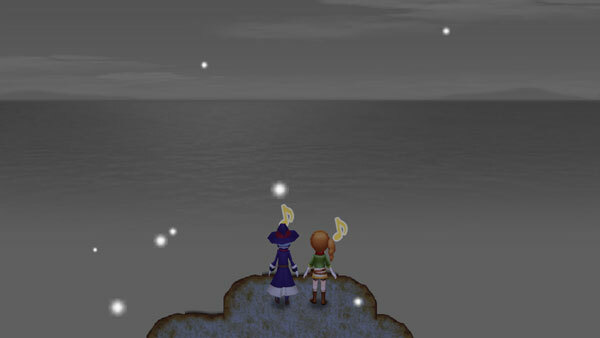 Joining in these festivities will also help you earn some friendship notes with the villagers. For festivals that are contests, you can also win a prize for taking first place, though the prizes are not terribly exciting (e.g., crop seeds or ore). The non-contest events are specifically for raising your friendship notes with those you interact with. On Spring 10 you can give flowers to the villagers. The special floral gift will help to increase your friendship. Supposedly villagers prefer certain flowers (e.g., Gabriel is suppose to prefer Sunflower), but it seemed to all be the same for me. This contest occurs every season on the 5th. The goal is to catch as many fish as you can during the festival period. To participate, talk to Sam in the town plaza between 10:00 am and noon. Once the contest starts, you need to catch as many fish as you can before 4:00 pm. You can go fishing at any standard fishing spot (your farm, the mountain, etc. ), but just keep in mind that walking to your favorite fishing hole will take precious contest time. 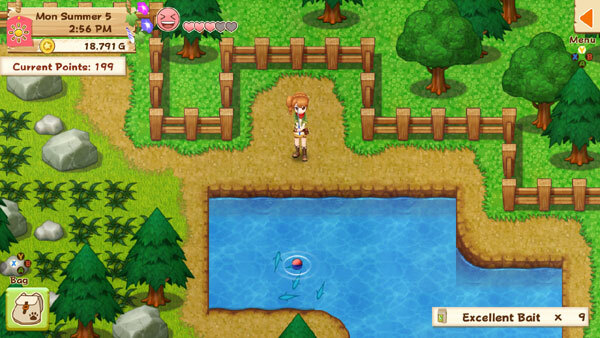 Using the post-story teleport feature will help you get to your fishing spot faster. When fishing, the quantity and size of the fish will earn you festival points. Bigger fish will earn a lot of points, but catching a lot of little fish is okay too. It helps to use bait to increase the size and quantity of fish you catch. For the summer festival, head to the pond by the Goddess Shrine as soon as you trigger the festival. If you happen to reach it before noon, you've a chance to catch a Calico Goldfish using a Master Fishing Pole that is worth over 350 points. During fall, you might catch some Golden Arowana or Green Arowana at the pond. In winter season, check the lighthouse dock and use Delectable Bait or higher to catch Tuna. Once the in-game time reaches 4:00 PM, the contest immediately ends, even if you're right in the middle of trying to catch a fish. Everyone will gather back at the plaza to learn who earned the most number of points. For those who have Soleil in the Playstation 4 and Nintendo Switch versions of the game, the gem sprite cannot be used during the festival to catch twice as many fish. The game prevents Soleil from being active during the tournament period. Your farm house already comes with a kitchen that will allow you to take part in the cooking contest on Spring 20 and Fall 20. To participate, talk to Bastian in the town square between 10:00 AM and 4:00 PM. 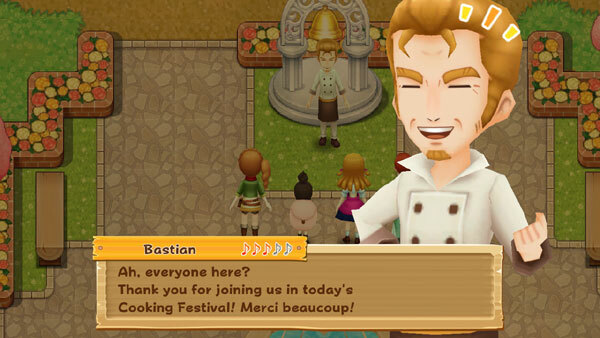 When you talk to Bastian and ask to enter, pick the rank to participate in and then you have to pick your recipe submission; basically, you have to bring a cooked dish with you to the festival plaza. The judging will immediately begin after you select the dish from your bag inventory. Since you will be turning in your contest entry right after hearing Bastian's rules for the contest, be careful you don't accidentally select Salt, Sugar, etc. as your cooked dish entry. (I entered Salt as my festival entry once, oops). On Summer 20 and Winter 20, talk to Naomi on the beach between 10:00 AM and 4:00 PM to participate. The goal is to walk/run at a pace during the race that will allow your dog to comfortably follow behind you. If you run too fast, the puppy will turn around and start walking the opposite direction. Just run back towards it to get its attention, then start walking towards the goal line again. The better your friendship with your dog, the easier it is to have the dog follow your lead to the finish line. Instead of running full speed, try to keep a constant walking speed to allow the dog to match your pace. If the dog falls behind or stops, you stop as well. The dog will eventually rubber-band back to your side so you can move forward again. 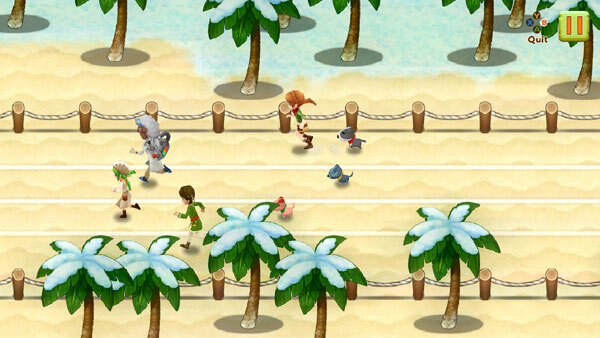 Win the Beginner Class to unlock the Intermediate Class the next time the Dog Race takes place. Win the Intermediate Class to unlock the Advanced Class. You'll be competing against Gabriel (with Max), Jeanne (with Ketchup), and awesome Doc (with robot dog Mark VIII). These four will be your challengers during every Dog Race. Whoever has their dog cross the finish line first is the winner. The prize will be crop seeds. The Dog Race ends at 5:00 PM. About a week before on Fall 8, Rowan will visit your house in the morning to tell you about the upcoming date festival on Fall 15. To participate, talk to a special person you'd like to spend the evening gazing upon the moon from the top of the mountain. That person will meet you at your house at 5:00 pm on Fall 15 to take you up to the mountain. You'll get some romantic dialog and then the event will end with you back at your farmhouse by 9:00 pm. On Fall 30 you can give food gifts to the marriage candidates. The regular villagers won't respond differently to food gifts on this day, but the bachelors and bachelorettes will mention that today is the Fall Festival if you give them a food-based gift. Rowan will visit on Winter 18 to remind you of the upcoming festival. Talk to a marriage candidate to invite him or her to spend Starry Night with you, which occurs on Winter 25. After you've obtained a date for the festival, walk into your farm house on the night of the 25th between 5:00 pm and 8:00 pm to meet up with your chosen date. Like the other date-type festivals, the game will automatically take you to your house to meet with your date once it becomes 5:00 PM. You'll have a pleasant conversation at the top of the mountain and then return back to your farm house at 9:00 PM. In the morning of Winter 30 the marriage candidate with the highest music note level will greet you inside your farm house and invite you to spend the evening with him or her. You'll be requested to be at your house between 9:00 PM and midnight. Even if you aren't inside by 9 PM, you'll automatically appear there at the right time. You'll stand in front of a table set with a meal and talk about the upcoming new year. Then the event is over and the next day begins.